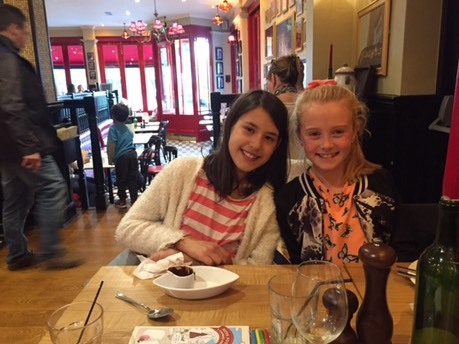 “Gorgeous refurbishment and superb new menu makes this lovely spot in Reigate a great place for a family meal or afternoon treat." 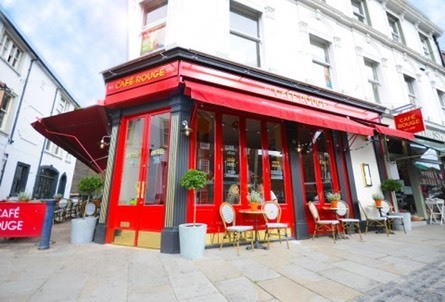 Caf� Rouge was launched in Richmond, London, in 1989 by Karen Jones and Roger Myers, foodies on a mission to recreate real French food and wine in a Parisienne bistro style setting. Rouge was also the fave hangout for Bridget and friends in ‘Bridget Jones’s Diary’, the novel that helped make us a household name. Today we continue to recreate core classics like Steak Frites, Poulet Breton, Moules and Confit de Canard as well as croques, salads and baguettes available to enjoy... with a gorgeous glass of French wine.